When you are in the field and need to start a taking notes and photos of the job site it should be quick and easy to create a new Raken Project without waiting the get to a computer back in the office. With the Raken Mobile App, it is. Simply follow the steps below to get your new project up and running in minutes. 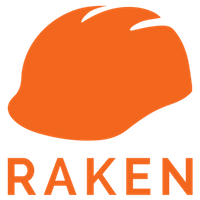 Open the Raken App to see your current list of active projects. Click the green "+" button in the bottom right of the screen. Fill in your project information, including the name, project number, and address, and start date. You can also add a project photo if you like. If you turn on your GPS Raken will pull the address from your location, or you can manually enter it in. Once updated, hit save and your new project will show in your project list. Feel free to email us or call us at +1 866-438-0646. We're always glad to answer your questions!